According to the FTS, before April there were only 260,000 official traders on the fur market, meaning that these “grey” or semi-legal market goods could be “legalized” and put on the official market. Most counterfeit goods on Russia’s “informal market” come from Southeast Asian countries, Russia’s deputy minister for the Ministry of Industry and Trade claims, following the success of an initiative to eliminate imitation products. 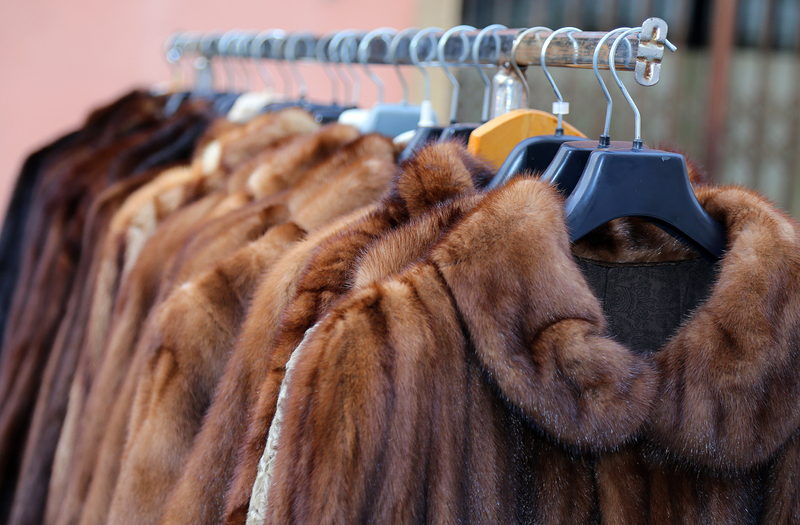 The Russian government has succeeded in reducing the amount of counterfeit goods on the fur market eight times over the past year, according to Deputy Minister for Industry and Trade Viktor Yevtukhov. Yevtukhov made the announcement on Nov. 17 at a press conference in Moscow in the run-up to the Antikontrafakt (“Anti-counterfeit”) international forum. According to Yevtukhov the majority of illegal goods come to Russia and Europe from Southeast Asia. On April 1, 2016 the authorities in Russia began an experiment in which they tagged fur goods with chips in order to make them easier to locate. The Federal Customs Service (FTS) approved two million applications from market traders. According to the FTS, before April there were only 260,000 official traders on the market, meaning that these “grey” or semi-legal market goods could be “legalized” and put on the official market. “In this way we have managed to ‘whiten’ the grey market by 800 percent, and this experiment will continue until December 2016,” said Yevtukhov. Besides the fur market, the biggest portion of illegal goods in Russia are in light industry, construction materials, pharmaceuticals, and edible goods, reported Yevtukhov. He believes that 30 to 35 percent of light industry operates on the grey market: This is a very large figure, given that the turnover on this market is worth 3 trillion rubles (almost $50 million). “Our task is to ‘whiten’ this market as much as possible,” said Yevtukhov. The fourth Antikontrafakt international forum will take place in Yerevan, Armenia on Nov. 22-23. Officials from the Eurasian Economic Union (EEU) and experts from Britain, France and Switzerland are planning to attend, as well as representatives from business communities that are directly affected by the trade in counterfeit goods. The Ministry of Industry and Trade in Russia is already implementing anti-counterfeit measures in the EEU, which besides Russia contains Kazakhstan, Kyrgyzstan, Belarus, and Armenia. A pilot project labeling fur products has begun in these countries. The results of this experiment will determine whether it is tried on other categories of products, according to a press-release by Antikontrafakt.